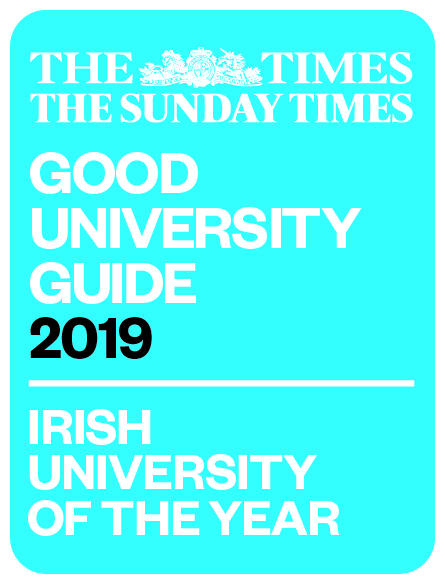 In conjunction with Limerick City and County Council and Bliain na Gaeilge, Dr. Sorcha de Brún from the School of English, Irish and Communication will give a workshop on spoken Irish Language Skills today at 3.30, November 20th, in the Granary Library, Limerick. 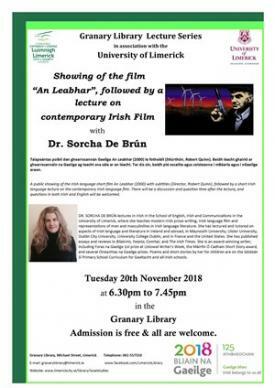 This will be followed by a bilingual Public Lecture on Irish Language Film at 6.30 and a showing of the film An Leabhar ( Robert Quinn, 2000). The second Public Lecture in her series of lectures on Irish will be on the theme of An Ghaeilge agus an Nollaig / Christmas in Irish language and literature, December 11 at 6.30, also in the Granary Library . Fáilte roimh chách!